Explore how literature and the visual arts shape our culture and society. We offer a bold, forward-thinking curriculum that allows you to study a thousand years of literature in new and progressive ways. 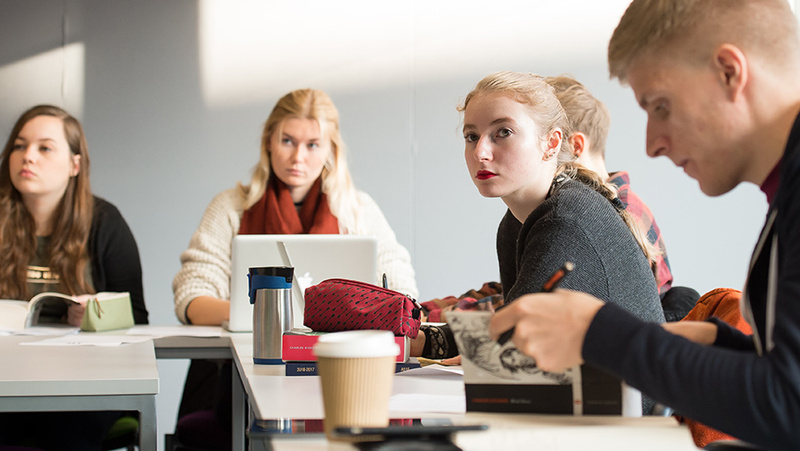 Offering a distinctive approach to a radical breadth of literary texts has made us one of the UK's most respected and exciting English departments. You'll experiment with writing and learn about its ability to transform the world we live in. You also explore a wide range of visual material – from painting and architecture to sculpture and dress. Our engaged and passionate tutors will guide you through each year of your degree. You benefit from our fantastic campus facilities including the Art History Lab and the Attenborough Centre for the Creative Arts, and exceptional links with galleries and museums including Tate Modern and the V&A. English is multidisciplinary and flexible. Art History is a practical humanities subject. Studying them together gives you transferable skills in critical analysis, research, communication, independent thinking and problem-solving. You’ll also understand how visual culture works – an essential skill in an image-saturated society.